The development comes after two Independent lawmakers — H Nagesh and R Shankar withdrew their support from the ruling Congress-JDS coalition government in Karnataka on Tuesday. 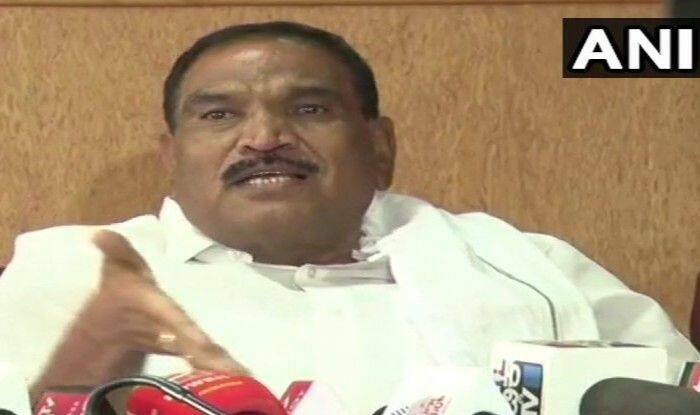 Bengaluru: Janata Dal (Secular) MLA KM Shivalinge Gowda confirmed reports of Bharatiya Janata Party (BJP) horse trading members from the ruling Congress-JD(S) government. Gowda who was in Hassan yesterday said, “One person from JDS has been offered Rs 60 crore and a minister post by the former chief minister and BJP leader Jagadish Shettar. The JDS MLA said that the party member refused the offer and informed CM HD Kumaraswamy. The development comes after two Independent lawmakers — H Nagesh and R Shankar withdrew their support from the ruling Congress-JDS coalition government in Karnataka on Tuesday. However, Chief Minister HD Kumaraswamy remained unfazed by the recent developments and said that he was relaxed and enjoying whatever is happening. Notably, Nagesh and Shankar’s defection brings down the numbers of the ruling coalition from 118 to 116 – the halfway mark stands at 113. Besides Kumaraswamy, Deputy CM G Parameshwara also stated that the coalition government in Karnataka is very much stable.”We have been saying that BJP is luring our MLAs through money and power but their attempts to destabilise the government will fail,” Parameshwara stated. “Today is Makar Sankranti, on this day we want a change in the govt. The govt should be efficient, so I am withdrawing my support today,” said R Shankar – the forest, environment and ecology minister in the Kumaraswamy Cabinet. In the 224-member Assembly, BJP has 104 members, Congress-79, JDS 37, BSP, KPJP and Independent one each, besides Speaker. BSP, KPJP and an Independent are supporting the ruling coalition.